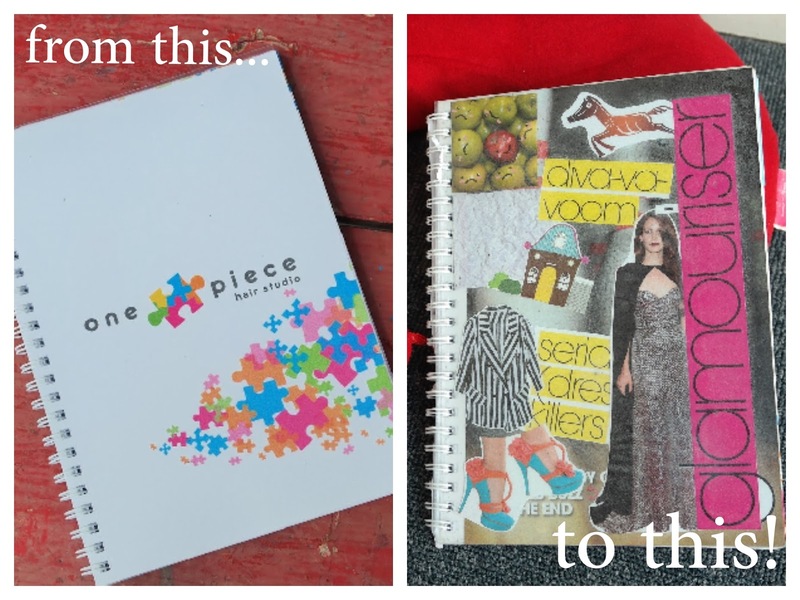 DIY: How to Turn Your Old Notebook Cover into New One! Are you bored with those piles of unused notebook? Got so many promotional notebook as souvenir? I often remodel those notebooks that I've got from various events and brands, so that it becomes my own notebook! The example I put here is this notebook I've got from One Piece Hair Studio. I choose this because it has clear plastic cover, so it's easier. 1. Make sure that the cover's surface is smooth and free from debris or any other things. 2. Prepare for the design and arrangement of the magazine collage. 3. Spray the repositionable adhesive (spray glue) to the cover's surface. As for me, I sprayed the glue from the inside, so that I don't need to be afraid that the collage will torn up sooner. 4. Then put the desired collage. Be careful, do it right because it might be wrinkled. After that, I also glue the back of the collage side to the first page of the notebook, so it's secured. Done!! Hehe, what do you think?